I love November. It’s a month filled with gift buying or making, crafts, decorating and holiday baking. Food is a big part of the holiday festivities, especially decadent treats. Some foods I can make early and freeze, while other recipes need to be prepared the same day. It’s just the sheer excitement of creating holiday-inspired recipes that will be shared with family and friends over the holiday season. If you’re like me though, you’re always looking to amp up this holiday season with some scrumptious new dishes. 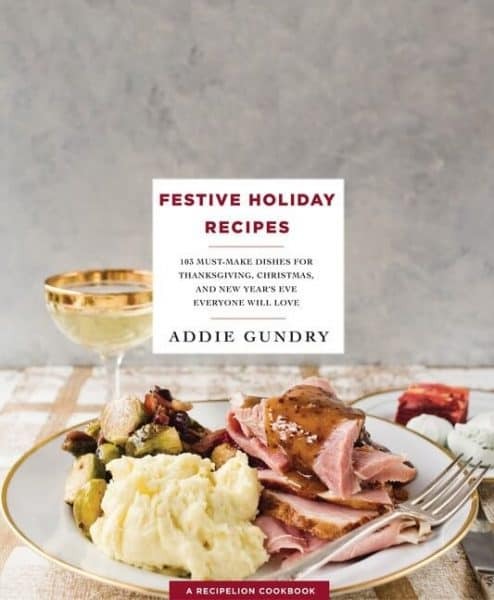 Each year there are a bunch of new holiday cookbooks released and I found three that have encouraged me to try different dishes. I’m turning to them for that spark of inspiration with a plethora of remarkable recipes that I can serve during Christmas and New Years. Check them out! Festive Holiday Baking is filled with 103 must-make recipes for the holiday season. We’re talking about hearty and cozy recipes that are holiday favorites. The recipe book is broken into six categories, Brunch, Appetizers, Main Course, Sides, Desserts and Drinks. And there are mouthwatering images for each recipe that will trigger the holiday cook in you. Brunch during the holiday season is a magical time. Everyone is over excited and probably getting very little sleep. These recipes will fill you with the holiday spirit and perk you up as you head out holiday shopping. Enjoy Wake Me Up Cinnamon Rolls, Granny’s Monkey Bread, or maybe some Snickerdoodle Muffins. There are 28 different appetizer recipes from Cheesy Popovers to Sourdough Pretzels to Holiday Pinwheels to Vegetarian Spring Rolls. The Penguin Poppers are adorable. There are nine Main Course recipes that embody the holiday season including recipes for leftovers. There are oodles of side dish recipes and lots tempting desserts. Upside-Down Apple Pie, Pumpkin Spice Roll, Peppermint Crunch Balls, Sparkling Cranberry Cake, Christmas Magic Squares and Peanut Butter Snowballs are just a few. Lastly, you cannot enjoy the festive season without some jolly drinks. Slow Cooker Mulled Cider, Salted Caramel Eggnog and Slow Cooker Peppermint Hot Chocolate will get you all nice and cozy. Festive Holiday Recipes is one of the best holiday cooks I’ve perused through and have marked several to make for our family get-togethers. There is nothing more festive than holiday inspired theme cakes. Easy Christmas Cut-Up Cakes is filled with 24 easy to make holiday shaped cakes that will add some festive flair to all your special winter occasions. With the holiday season being hectic, these cakes are baked from cake mix packages to save time and then transformed into a holiday treat. Each recipe will share what type of pan to bake the cake in, and a diagram is provided so you can see how to cut it into the right shape. Choose from the Smiley Snowman, Gingerbread Man, Toy Train, Snowflake Stocking, Red-Nosed Reindeer, Polar Bear or maybe the Santa Cake. The Santa Cake is baked in a 9 x 13-inch pan and cut into three pieces to create this festive cake. The cakes are covered with either vanilla or chocolate buttercream frosting and decorated with candy. Marshmallows, licorice, coconut, M&M’s and even chocolate bars. The instructions are clear, the steps easy to follow and the results are joyful. Vegan Christmas is celebrating with over 70 amazing animal-free recipes inspired by the holiday season. If you have vegans or vegetarians in your family or guests coming over during the holidays, then you can surprise them with some flavorful dishes. Many assume that vegan dishes are boring and tasteless, but this cookbook will convince you otherwise. The book starts off with some ingredients and equipment you’ll need to prepare the included recipes. These are ingredients you may or may not have at home, but they are easy to find at any grocers or health food store. Vegan Christmas has seven recipe chapters, Christmas Morning, Party Foods & Light Meals, Centre Pieces, All the Trimmings, Leftovers, Afters, and Edible Gifts. There are lots of colorful mouthwatering images that will prompt you to give a vegan recipe a try. You’ll learn how to make your own bacon and vegan sausage and turn it into several appetizing dishes. All the recipes are healthy, but still festive enough for the holidays. I would like to win because I am trying to get meat out of our diet. It is so hard when my hubby just bought a smoker. OH dang that makes meat taste so good. HELP. I love to Bake and I am always wanting to learn new recipes with new ingredients and I could sure use some healthy yet tast recipes. Lovely Bundle of Books I must say. These look like great books to have, I would love to gift these to my daughter she is just starting out and I would love to help her out with some great cookbooks!! I love baking with my granddaughter and I think these books would add to the fun we have baking together as well as give us a lot of new recipes to try together. I’m always ready for new recipe books. I still prefer a good paper version. That cut up cake one looks like fun as my grandchildren have enjoyed decorating Easter Bunny cakes in the past. We’d love to try some new shapes! Love looking at (and trying) new recipes. I think the Vegan book would have some interesting ideas – even for flexitarians. I love trying new recipes and would love to add to my collection of Holiday favourites. I would love to try some new recipes over the holidays. These look like great books! love baking, love new cookbooks and recipes to try out! I’d love to win this prize because I like to try new recipes. I love christmas, it’s my favourite holiday, so I’d love to use this prize to up my game! I would love to win this prize because when I’m cooking I’m able to escape for awhile from my depression and PTSD by doing something that I positively love. I would love to try some new recipes. 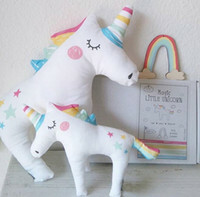 I’d love this for my sister. It looks like a cool recipe book to have. I love to bake but I’m trying to explore healthier options,healthier recipes and want to try some vegan ones but also because I love the holidays and am always looking for new fun holiday recipes! I would like to win because I’d like to use the vegan recipes for guests who are vegan. 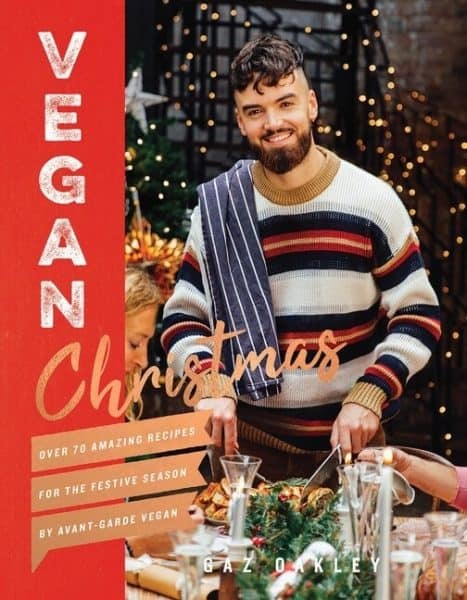 That Vegan Christmas book would be wonderful as I’m sure there are such wonderful, tasty recipes that I’d love to experiment with! I would love to win as I am meat free and always looking for new and exciting recipes!! I like to cook and it would be great to cook vegan things for me and for my sister-in-law. I eat very little animal products and need to know how to cook healthy. I love to make special holiday dishes and baking but I do need the ideas and pictures in front of me in order to copy them. I’d like to win this to add to my cookbook collection. Love to learn new takes on old recipes or just new recipes in general. Nice to refer to an actual book and not my phone. I would love to win this book as a gift for my sister. I love to win and add a few recipes to my collection. We love baking in our home, especially at Christmastime!! Thanks for this one. I love cook books and would love to add these to my collection. for my grandma as a gift. 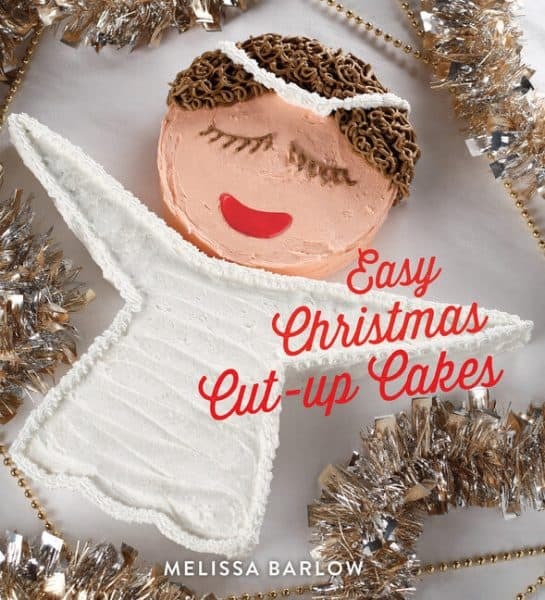 I would love to win because I am really interested in two of the books – Easy Christmas Cut-Up Cakes (for making adorable cakes with my kids and bringing them to our Christmas events!) and Festive Holiday Recipes for entertaining etc. I would love to win because I love trying new recipes and I’m always looking for vegan recipes as well. I would love to have new recipes for xmas. I love baking and am always looking for new inspirations! I love to cook and collect cookbooks and recipes and I love cooking for other people. I love to cook and collect cookbooks. I wish you guys would fix this website where it says most of the time duplicate entry and I know I didn’t comment here yet. I love finding new vegan holiday recipes to share with my family. These cookbooks would be perfect for this upcoming season. I am not a vegan. I love a good piece of meat with my veggies. But I have made vegan dishes and like them. Not only do I love to bake, but I collect and use cookbooks! I would love to be inspired to try new recipes this Holiday season and make a beautiful and creative presentation of food and love to family and friends. I want to win these so I can make something special for Christmas entertaining. I love to bake and new cookbooks give me lots of ideas for the holidays. I love to bake and am always looking for new recipes. I am not getting the 10 entries credit for following the 2 accounts ts on twitter. At least I think so. The 5+ is still showing. Thanks. Im not a very experienced baker or cook. Id love my first holiday baking book to try! I love to bake around the holidays so I’d love to win to get some new baking ideas and recipes. I want to win this prize to become a better baker & get some creative ideas! I’d like to win because I love trying new recipes. I am always on the look out for new recipes to try. I love baking and being creative. Also I’d love having this recipe book being that it is vegan as I don’t have any. I love seeing a man as a cook or baker and I look up to them for doing so. It’s amazing what one does with the imagination to be creative. These recipes look FABulous! I’d love to try some of these. I want to give th!is as a gift to a baker friend of mine! I just love cookbooks! I want to win to have more cookbooks added to my mother’s cookbook shelf so that I can then pass down what has been passed down to me and my daughter will have real books to cook out if she doesn’t have her technology to fall back on!